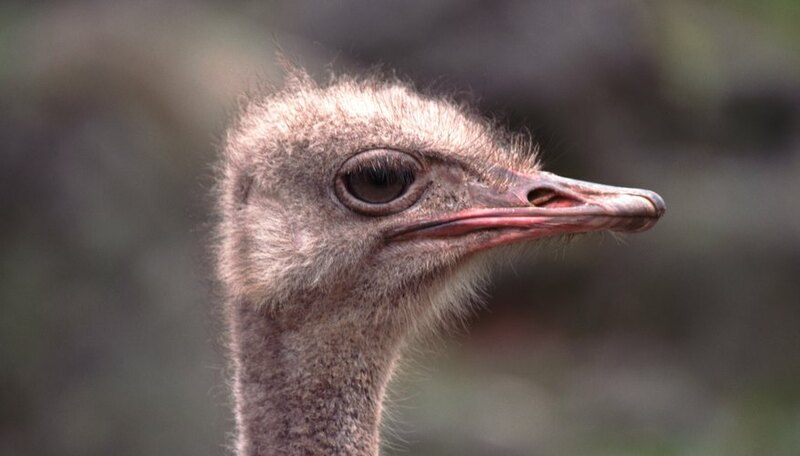 The tallest and heaviest of the birds on earth, the ostrich cannot fly and depends on its many adaptations to survive. Found only in Africa, the ostrich can weigh as much as 287 lbs., states the San Diego Zoo website, and stands as tall as 8 or 9 feet. 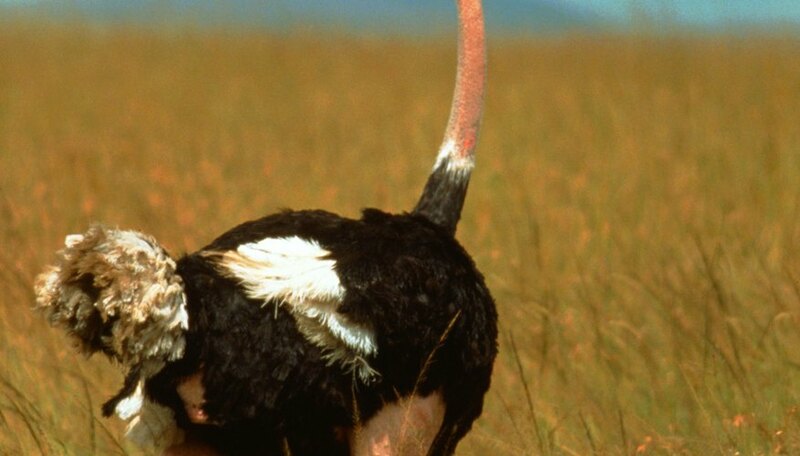 The ostrich offsets its flightless nature with keen vision and an ability to run as fast as 43 miles an hour to escape the danger that presents itself in its habitat. 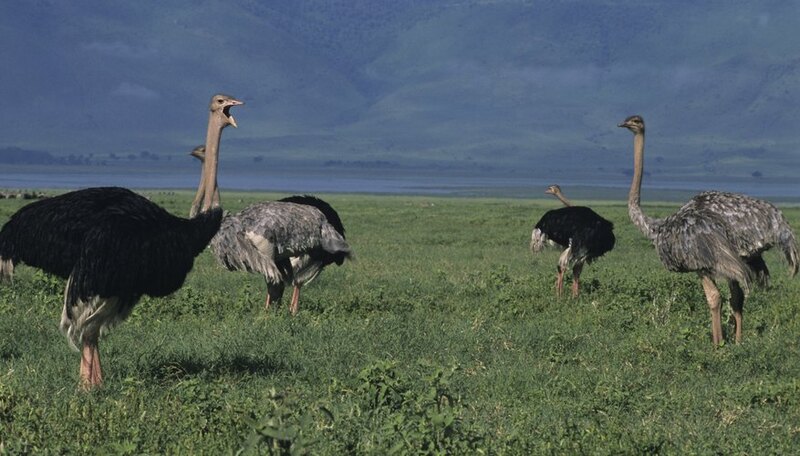 The grassy woodlands, savannas and semi-arid plains of Africa are the scenarios that support the ostrich. 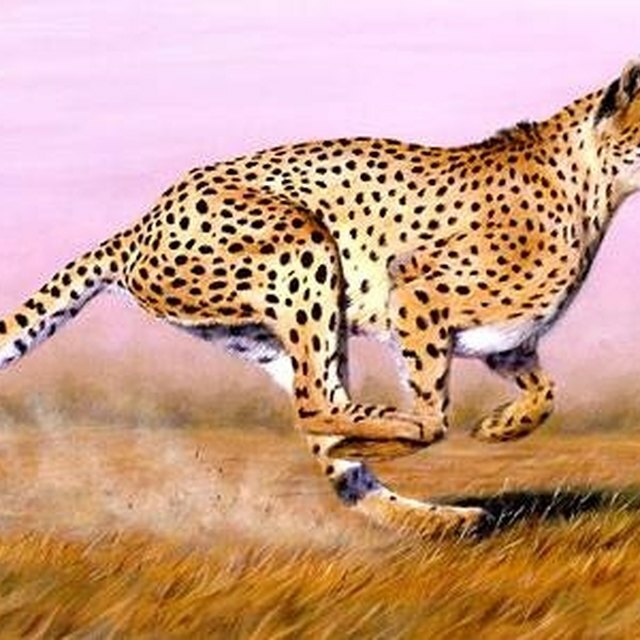 The animal’s inability to fly would not allow it to survive in a heavily forested tropical ecosystem, as it would not have the room to run freely when danger threatened and would not be able to spot a problem from far away in such cover. 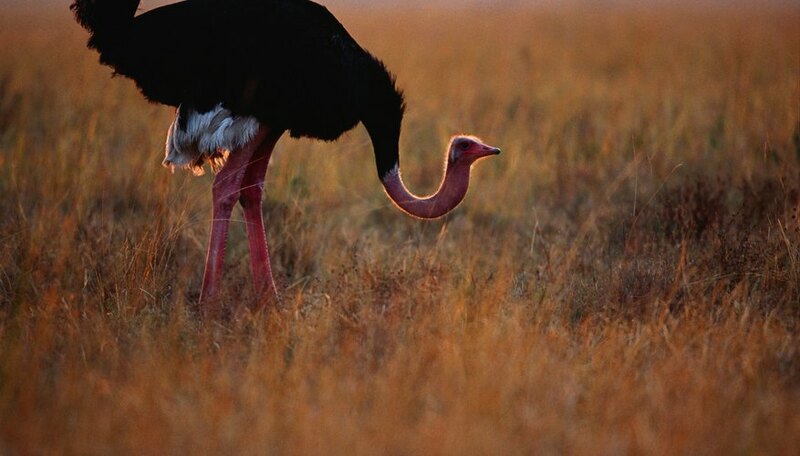 The ostrich’s strong legs enable it to outrun many predators, which it can spot in the open habitat. The stories that an ostrich buries it head in the sand when danger comes are quite false. 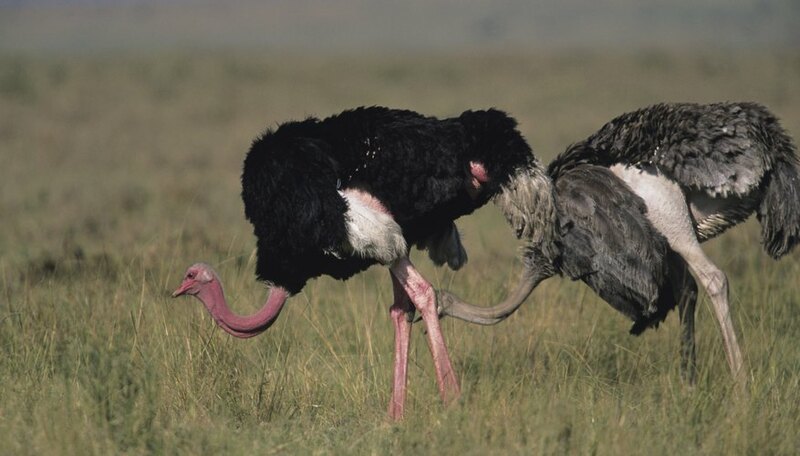 An ostrich, if it cannot run from trouble, can kill with one kick from its leg. 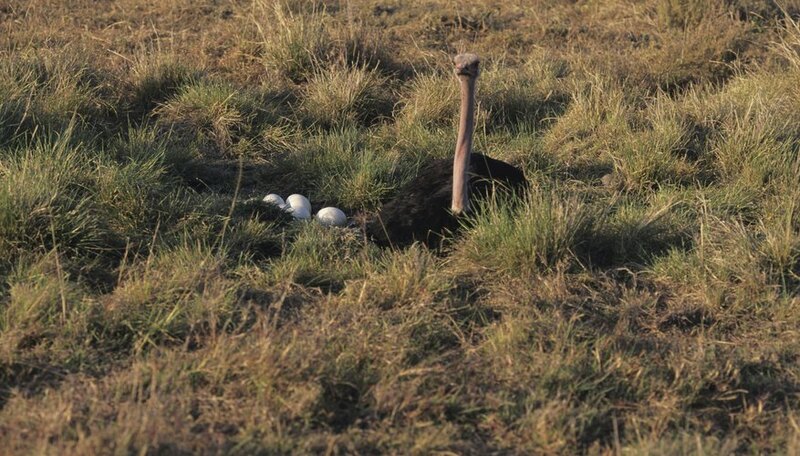 However, the myth probably sprang up from observing ostriches that knew they could not run fast enough to escape a particular threat and lay down low to avoid detection. At such times, the bird’s head and neck are difficult to spot against the sandy soil, leading people to think the bird was putting its head in the ground and hoping for the best. Lindell, John. "Ostrich's Natural Habitat." Sciencing, https://sciencing.com/ostrichs-natural-habitat-6391764.html. 24 April 2017.